Replacing commercial air conditioning systems is a larger undertaking than residential. There are many more things to consider and opportunities for savings that you may not be aware of. If you think it may be time for AC replacement in Eden NC for your office, warehouse, store, restaurant, or other building, here’s what you need to know. These are the most common indications of a problem with your air conditioning system. If you notice these or any other unusual symptoms, call your HVAC service immediately. Acting quickly can help you avoid full system failure. 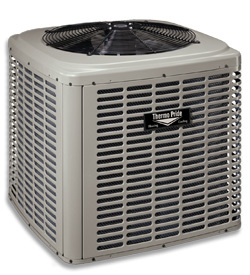 Large buildings often require more than one AC unit to cool the entire indoor space. If you do have more than one unit, you can save money by replacing all of your units at the same time, even if only one is broken. Heavy duty equipment such as trucks and cranes may need to be used for the installation, and you can avoid paying extra fees for future replacements of other equipment. If all of the AC units are the same age and one is starting to fail, there’s a good chance others will soon follow, especially if they are reaching or have surpassed their life expectancy. Upgrading to a more efficient air conditioning system will also save you money. If replacing one old unit will lower your energy bill, imagine what replacing all of them would do. There are state and federal tax incentives for businesses that are energy conscious to install efficient appliances. If your air conditioning system needs replacing, you can save your business money by calling Carolina Fuels at the first sign of a problem. Carolina Fuels, along with Berico’s technicians have the necessary training and experience to handle even the biggest commercial AC installations. Affordable pricing makes is possible for you to save on upfront costs as well as future maintenance. Call Carolina Fuels today for a free estimate: (336) 623-9741.